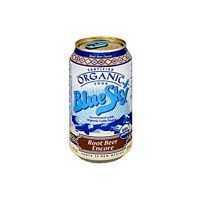 Blue Sky Organic Root Beer Enc.. Product weight is 2.88 lbs. After having taste tested several different styles and brands of root beer, Nan likes this the best and will drink no other. jenniferhalm - See all ..
C. Coburn "Mrs. Devine" ..
Blue Sky Organic Root Beer is disgusting. 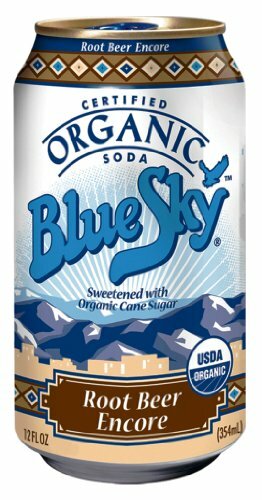 It tastes like bitter ..
Blue Sky Organic Root Beer is absolutely revolting, and tastes like cough medicine. A truly bad experience.This beverage is beyond just awful, the taste and smell is so strange and bitter, that it is alarming! I was even wondering if I was having allergic reactions to it! It made me feel nauseas and sick to my stomach. And strangely, I wondered if it raised my blood pressure? I just read that too much licorice can do that. Well, if that is the case, then there must be way too much licorice root in this stu..